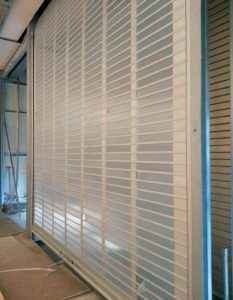 City Gates Vertical Sliding Doors are constructed of standard elements, wich solves almost all closure problems in the commercial (warehouse), industrial (shops) as well as civil (stalls for trailers) sectors. It is the only gate now existing which can be used as a lateral panel closure, whether straight or curved. 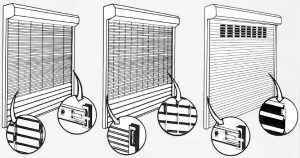 There are no difficulties to prevent the application of these all-purpose vertical sliding doors. When the total area (L x H) becomes excessive, (more than 14 square meters (150.64 sq. 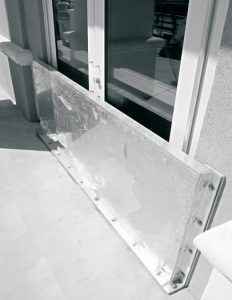 ft.) per panel), the panels can be subdivided and joined together with additional framing. The gates are supplied totally zinc plated, but they can be furnished in polished steel upon request. 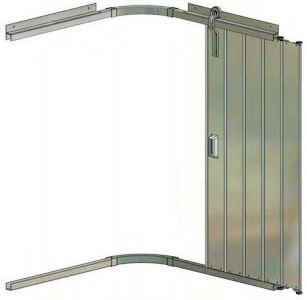 Anyone can install the City Gates Vertical Sliding Door because it is shipped already preassembled: it is merely inserted in the upper guide, installed beforehand in the masonry, and the gate is operational. 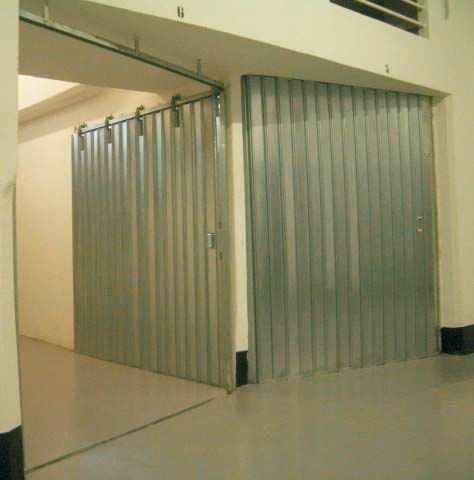 Only City Gates All-Purpose Vertical Sliding Doors are guaranteed for operation and safety. – Masonry hangers and all normal accesories. out the track before any damage is caused. channel for heavy traffic with cleaning sumps if required.